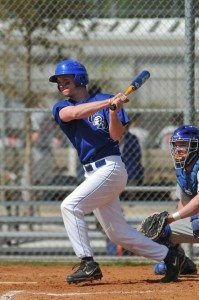 Baseball and softball players from across the nation will assemble in Lee County Feb. 25 through March 25 for the 27th Annual Lee County Parks & Recreation Gene Cusic Collegiate Classic. 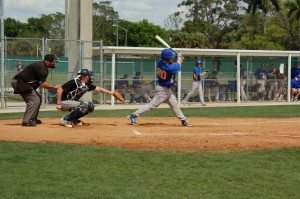 Men’s and women’s NCAA Division III baseball and softball teams, as well as NAIA softball teams, will have the opportunity to compete in “spring break” tournaments before their seasons begin. Lee County Parks & Recreation is expecting more than 150 teams during the Gene Cusic Collegiate Classic, primarily from the Midwest and Northeast. The lineup will include the women’s softball team at Florida SouthWestern State College. 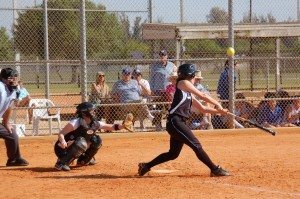 An estimated 500 games will be played at CenturyLink Sports Complex, Lee County Player Development Complex, North Collier Regional Park and Terry Park Sports Complex. Admission to the games is free for spectators. Last year’s Gene Cusic Collegiate Classic brought 3,800 sports visitors to Lee County, which generated roughly 5,000 hotel room nights and about $2.5 million in direct economic impact. The tournament is named for Gene Cusic of Aurora, Illinois, who was a teacher, coach, principal, superintendent and administrator in Illinois schools. He also taught a year in Lima, Peru, and served as principal of the Oxford Summer School for the American Institute for Foreign Study. He retired to Fort Myers in 1988 and joined the Lee County Parks & Recreation staff as the athletic program manager. He established the Collegiate Classic in 1990 with only 11 teams. The event took off and, at one point, boasted 300 teams of men’s baseball and women’s fast-pitch softball. It became so popular that as many teams that signed up were also turned away. Cusic passed away in 1995, but the event remains a stronghold in Lee County. For the complete game schedule, or for more information, please visit www.LeeGov.com/parks/athletics/cusic.